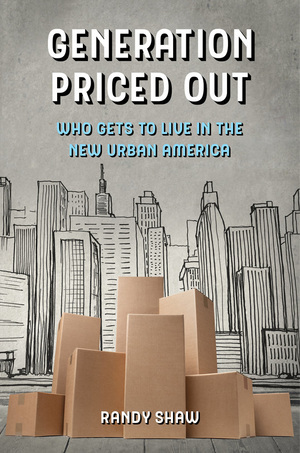 I’m doing two events this week for my new book, Generation Priced Out: Who Gets to Live in the New Urban America. I’ll be at San Francisco’s SPUR Urban Center this Wednesday, November 28 at 12:30 pm and.at Berkeley Books Inc. on Thursday, November 29, at 7pm. The SPUR event is $10 for non-members while the Berkeley event is free. At SPUR I will be interviewed by Adhi Nagraj, its San Francisco Director. We will primarily discuss San Francisco, the new national cautionary tale for unaffordability. San Francisco’s strong tenant and rental housing protections have not overcome the city’s exclusionary zoning and glacial housing approval process; the city’s failure to build enough new housing to meet jobs and population growth has led it to price out a new generation of working and middle-class residents. Join us to hear how San Francisco can enact land use policies consistent with the city’s public goals of increasing inclusion and racial diversity. My Berkeley event will primarily focus on the housing policies of Berkeley and Oakland, both of which I discuss in the book. Berkeley’s anti-development politics reflect the generational divide over housing that is central to my assessment of why progressive cities now exclude a new generation of working and middle-class residents. Boomer homeowners stop apartments from being built in their neighborhood, while opposing increased heights and density on transit corridors. Too many Berkeley homeowners ignore how their opposition to infill housing causes long commutes for others, worsening climate change. Oakland’s challenge is maintaining racial diversity without inclusionary housing and with limited affordable housing funds. Like Berkeley, Oakland must increase density along leading transit corridors to expand housing opportunities. Homeowner opposition to increasing density in Rockridge, Temescal and other gentrified areas of the city remains fierce. Fortunately, East Bay for Everyone has emerged as a vehicle for millennials and others to show support for increased density, and the group is making a difference. Join us for a provocative discussion on East Bay housing policies at Books Inc. I hope to see many BeyondChron readers at these events.